Inez E. Kusi, 85, longtime Marble resident, died Sunday, March 24, 2019 in the Grand Itasca Hospital, Grand Rapids. Born March 21, 1934 in Redwood County, MN, she was the daughter of Rudolph and Bertha (Anderson) Hansen. She moved to the Park Rapids, MN area in 1941 and was a 1951 graduate of Park Rapids High School. Inez and Leo L. Kusi were married on October 12, 1952 and had been Marble residents since then. 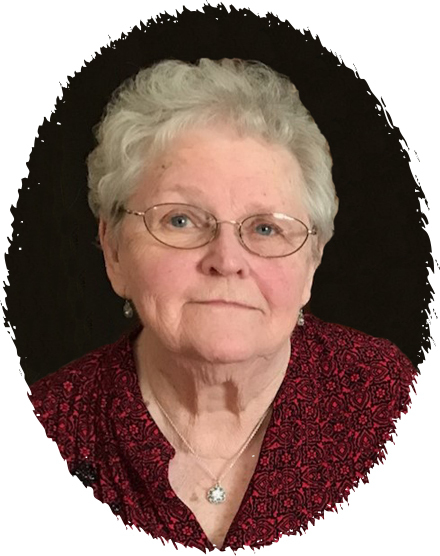 She was a member of the Grace Lutheran Church of Marble since 1953 and had been a member of the Women’s Guild and the Altar Guild. Inez had worked at Bridgeman’s in both Grand Rapids and Hibbing, and Reed Drug in Grand Rapids. She was a foster grandparent, a Wonder Worker, a member of the Greenway Snowmobile Club, the Red Hat Society and SOAR; and served as an election judge. Her parents, Rudolph and Bertha Hansen; her husband, Leo L. in 2011; a daughter, Julia Amanda in 1963; a sister, Gloria Esser; and brothers, Glorian, Norman, Linus, Marvin, and Erwood Hansen preceded her in death. Survivors include her children, Terry Kusi currently a resident of Heritage Manor in Chisholm, MN, Constance (Alan) Kotula of Eden Prairie, MN, Kathleen (Steve) Ivanca of Eagan, MN, and Amy (Jeff) Nelson of West Fargo, ND; six grandchildren, Alexander (Hilary) Kotula, Maxwell (Rachael) Kotula, Kevin Ivanca, Sarah (Aaron) Whitmore, and Zachary and Elizabeth Nelson; great grandchildren, Samuel and Scarlett Kotula and Ada Jane Whitmore; and brothers, Kenneth Hansen of LaPine, OR and Roger (Bonnie) Hansen of Spring Lake Park, MN. Visitation will be 1:00 PM until the 2:00 PM funeral service on Sunday, April 7, 2019 in the Grace Lutheran Church, Marble. Interment will be in the Lakeview Cemetery, Coleraine.